Did you know that digital literacy can improve productivity by an average of 1-3 hours per week per employee? Improving digital literacy skills and confidence can also directly result in savings of $1820 per employee per year. (Source (pdf)). That’s a lot of time and money that you could save! Over 120 library staff have already registered to find out their digital literacy capabilities using the free diagnostic tool from Library Intelligence. 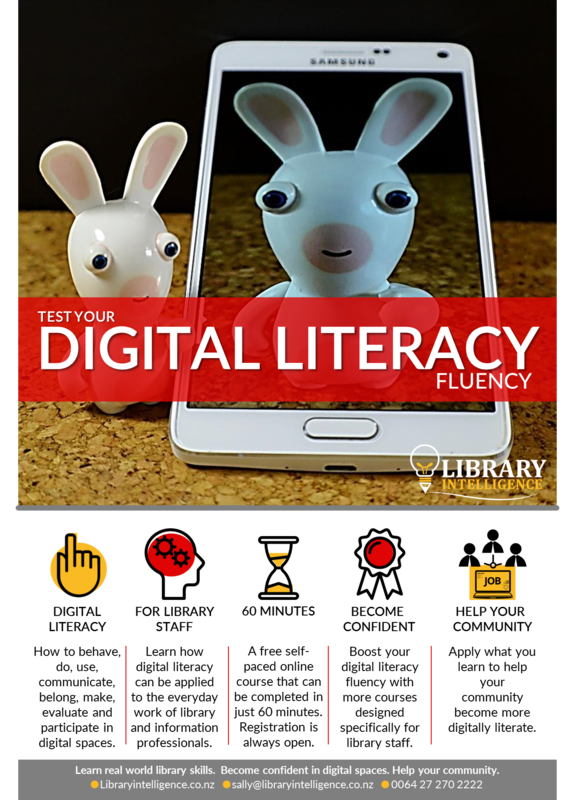 Test Your Digital Literacy Fluency diagnoses the strengths and weaknesses of your digital literacy capabilities by asking 24 questions. The questions cover social bookmarking, digital communication, Creative Commons, online content curation, personal learning environments, online safety, digital rights and critical thinking. There are no right or wrong answers, just select the answer that best fits your experience. The test is free and takes less than 60 minutes to complete. guessing) where you fit and how you can improve.